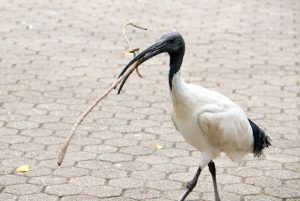 Welcome to my second installment of Aussie snaps, this time getting to know the locals and focusing on WILDLIFE. I split this into two two very contrasting theme’s of birds and whales. 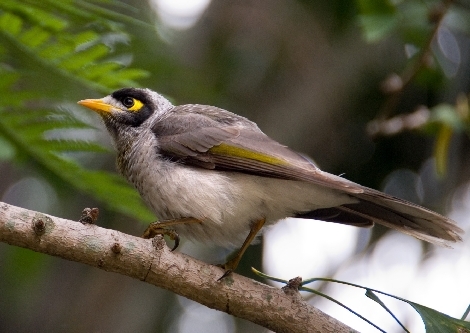 One of my favorite common wild birds I came across during my Australian stay, was the strangely named Noisy Miner (yes, spelled correctly). These cute and cheeky little birds were absolutely everywhere and being ‘ridiculously tame‘ were impossible not to get some nice snaps of. Like pigeons but prettier they would happily gather round when you were sat outdoors at a cafe, take food from your hand and almost if you allowed them, quite possibly out of your mouth. I didn’t find them particularly noisy, especially when they lined up in front of you when you were eating al fresco and I noticed how their chirping changed in tune to something much softer and more appealing. Daft they ‘aint! For me a good bird photo is where it is (obviously) sharp and well exposed, at a pleasing angle, on a short depth of focus, contrasting with the background and ideally ‘doing something’ like feeding or preening. 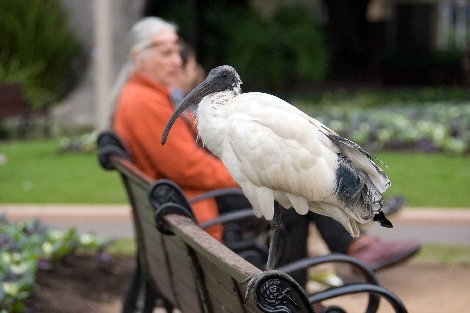 Very much at home in a city, is the large (turkey sized) and rather ugly White Ibis. They are everywhere, rather noisy and most definitely enough to make you jump when one comes soaring down from a tree with a painful squawk and lands near your feet. Tame as well, they will take food from you (not that this is probably good for their diet. My second shot shows it off rather better, strolling past with a stick for it’s nest. 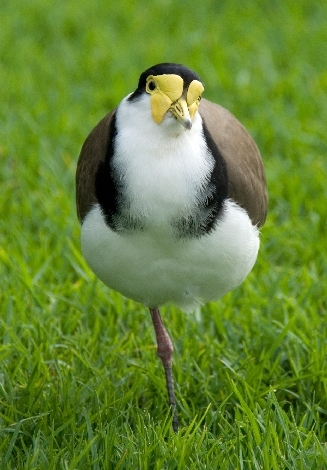 The Masked Lapwing is a handsome bird (which seems to like standing on one leg) and at home in Sydney’s Botanical Garden. 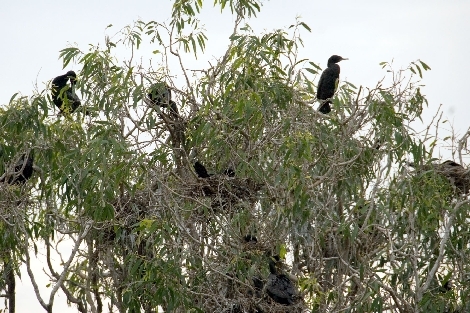 where they were nesting when I visited. Quite happy in an environment of people, you barely need a zoom lens to snap a nice photo. This young Great Cormorant (I think) was an unexpected sight in Sydney’s Botanical Gardens. 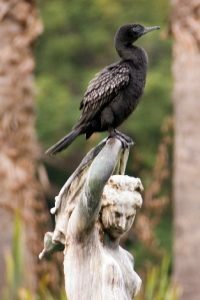 I thought it looked good perched on this statue and then I looked up to see a number nesting above. Very bold and quite happy to come up to you this bird is a little larger than our’s here. 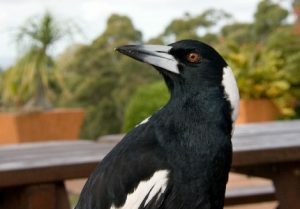 One joined me for a snack at a cafe near Brisbane on my way up into the popular Mount Tambourine National Park. It’s not often I switch to a wide angle lens to snap a bird photo and then only get the head on! That’s what I call tame! I think the cafe owner called him ‘George’; clearly a regular at her establishment. Onward and most definitely upwards on my motoring trek into Mount Tambourine National Park and I stopped at a roadside picnic site to see this large and unusual bird stroll past. 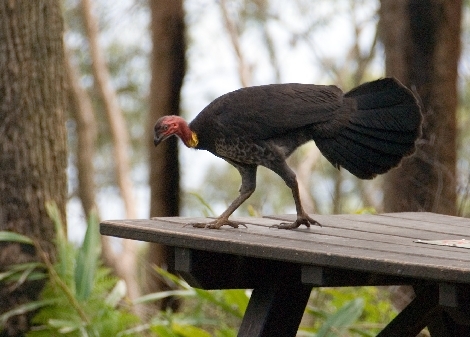 I later identified it as an Australian Brush Turkey, which likes rain forests at high altitude and feeds on seeds, insects and fallen fruit (thank you Google). As a photo, I liked the sense of movement and quirky picnic bench location. A nice study. 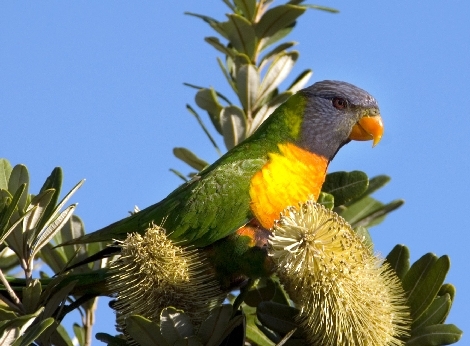 are incredibly beautiful and quite common in parks and just about anywhere there are trees. They don’t tend to sit still for long, so photographing them was quite tricky. This one was gorging on seed heads on the coast. 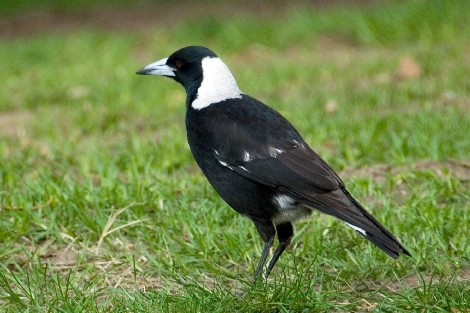 They are very noisy birds who gathered in their thousands to roost in trees outside my seaside apartment at dusk, as well as I noticed, parks in Sydney. They were great fun to watch and to photograph. 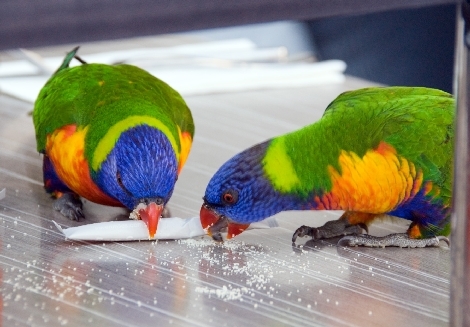 I watched this pair take it in turns to break open packets of sugar. Clearly no one had explained the dangers of too much of the sweet stuff to them! Certainly a good spot to show off their striking colours in my photo. 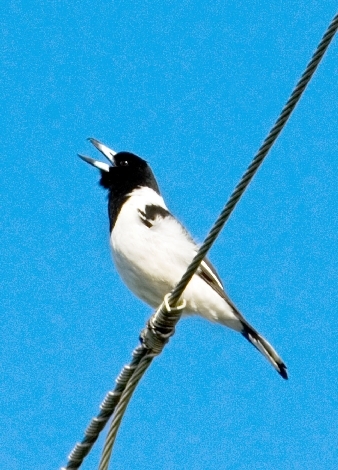 Singing it’s heart out above where I was sat, was, I believe, a native Australian songbird, a Pied Butcherbird. It’s loud and repetitive sound caught my attention and I like the ‘action shot‘ of it and it contrasted well against the lovely blue sky. And now for something completely different… Talk of a bumper year for passing whales, I was tempted onto a whale watching trip on my last day. It began with an exhilarating speedboat ride under Sydney Harbour Bridge and out to sea for an hour of scanning the waves. I certainly wasn’t disappointed. 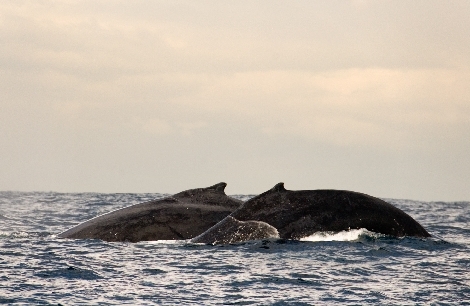 Hump Back Whales off shore. An abundance of whales; at least half a dozen sightings in an hour didn’t make getting great photos easy though. It was choppy and the small boat I was on was bobbing around in the swell. On top of that, these magnificent creatures, about three times the sizes of my boat by the way and usually swimming in pairs, appeared above water for only a few seconds at a time. Hence I had lots of shots of splashes but no whales. 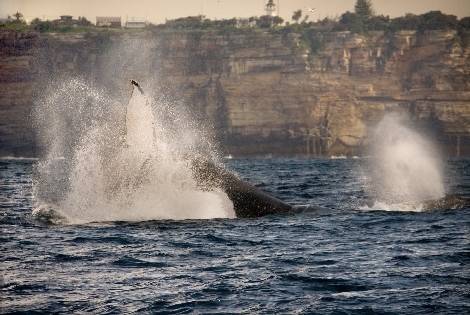 If you are very lucky you would see a whale leaping out of the water, twisting and crashing back beneath the surf. This was probably the closest I came to getting a shot like that. Although my 300mm zoom confuses the distance, it was less than a mile off shore and it was nice to capture the shoreline in the background, as well as the splash as the tail hits the water. What an amazing and I have to say quite scary experience. I strongly recommend it f you are there are at the right time of year. One more installment of snaps to come from my Australian experience. Until then, happy snapping!